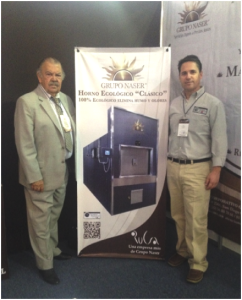 Luis Llorens of U.S. Cremation Equipment and Sergio Ruiz of Rucsa Hornos, a Division of Grupo Naser attended the 2014 Funeral Expo in Queretaro, Mexico. The expo was attended by representatives from several Latin American countries and included delegates from as far away as Italy and Spain. Queretaro is one of the smallest States in Mexico, but it is one of the most heterogeneous geographically. An impressive point of interest is the Acueducto de Queretaro, a landmark recognized worldwide as a national monument and an important symbol of colonial Mexico. Patterned after aqueducts in Segovia, Merida and Tarragona in Spain, the structure was designed in 1723 by Juan Antonio de Urrutia y Arana and is still virtually intact! From October 1738 until just recently, it has been providing a dependable supply of clean water to the city of Queretaro.